Now your little one can sleep with a Catboy Night Light. 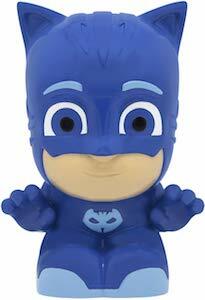 If you child does not like the dark but does like PJ Masks then this cute Catboy night light is what you need. The PJ Masks light is shaped like Catboy in his famous blue outfit. As you can see the adorable Catboy you think this is just a cute figurine to play with but if you press the switch he will light up for 10 minutes and with that keeping your child safe from the dark. The PJ Masks light runs on two AAA batteries that are included and that means that it is a lot safer for the kids then something that needs to be plugged in and it also makes it portable so that it even could come camping. Now your child can have a cool PJ Masks blue cap. 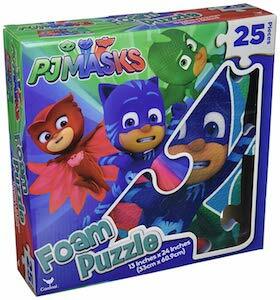 The PJ Masks hat is made for kids ages 4 – 7 and is adjustable in size so that it will fit neatly and it won’t fly off. 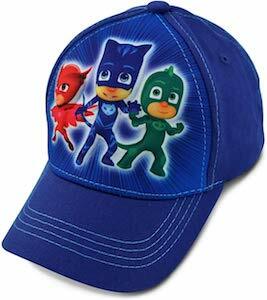 On the blue cap it shows Catboy, Gekko, and Owlette in their green, blue, and red outfits. A hat like this will be a hit with all the kids that love their PJ Masks so now you never have to worry if they are wearing their hats when it is really sunny out. Kids will love a cap like this and that makes this to be the perfect present for them. 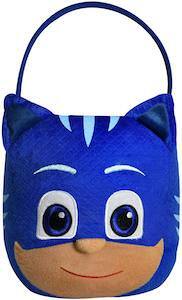 Now there is a PJ Masks Catboy trick or treat bucket that is just made for Halloween and collecting candy. The Catboy treat bucket is plush on the outside and has the shape of the face of the famous Catboy just like in the PJ Masks TV series. The PJ Masks trick or treat bucket is 7.5 inches tall with an easy carry handle to make it perfect for collecting candy on Halloween. A treat bucket like this is a great addition your kids PJ Masks Halloween costume as it is in the same theme as the costume.